Conducted by Umberto Benedetti Michelangeli, the Kammerorchester Basel (the Basel Chamber Orchestra) performs Wolfgang Amadeus Mozart’s Symphony No. 40 in G minor, KV. 550. Recorded on January 22, 2017. Film: Thomas Märki, sound: Joël Cormier. Published by the Hochrhein Musikfestival channel. Mozart wrote this symphony in the extraordinarily creative summer of 1788 (his last three symphonies, 39, 40, and 41 came out that summer). It is sometimes referred to as the “Great G minor symphony,” to distinguish it from the “Little G minor symphony,” No. 25. These two pieces are the only extant minor key symphonies Mozart wrote. 00:06 Molto allegro, 2/2. The first movement begins darkly, not with its first theme but with accompaniment, played by the lower strings with divided violas. The technique of beginning a work with an accompaniment figure was later used by Mozart in his last piano concerto (KV. 595) and later became a favorite of the Romantics (examples include the openings of Mendelssohn’s Violin Concerto and Sergei Rachmaninoff’s Third Piano Concerto). 07:49 Andante, 6/8. The second movement is a lyrical work in 6/8 time. It is in the subdominant key of the relative major of G minor (B♭ major): E♭ major. 18:42 Menuetto. Allegretto – Trio, 3/4. The minuet begins with an angry, cross-accented hemiola rhythm and a pair of three-bar phrases. 22:50 Finale. Allegro assai, 2/2. The fourth movement opens with a series of rapidly ascending notes outlining the tonic triad illustrating what is commonly referred to as the Mannheim rocket (a swiftly ascending passage typically having a rising arpeggiated melodic line together with a crescendo, an orchestral technique pioneered by the court orchestra of Mannheim in the latter half of the 18th century). Kammerorchester Basel, then called Serenata Basel, was formed by graduates of Swiss music academies. It was conducted by Johannes Schläfli until 1999. The ensemble assumed its present name in 1999 and has had no principal conductor since. The orchestra performs both early and modern music and continues the tradition of Paul Sacher’s Basler Kammerorchester (1926–1987). Music up to the classical period is performed on period instruments. Every year the orchestra also commissions new works. Performances are often led by the concertmaster. Guest conductors have included Paul Goodwin, Christopher Hogwood, Kristjan Järvi, Paul McCreesh and David Stern. In 2008, Kammerorchester Basel won the ECHO Klassik award as “Ensemble of the Year”. 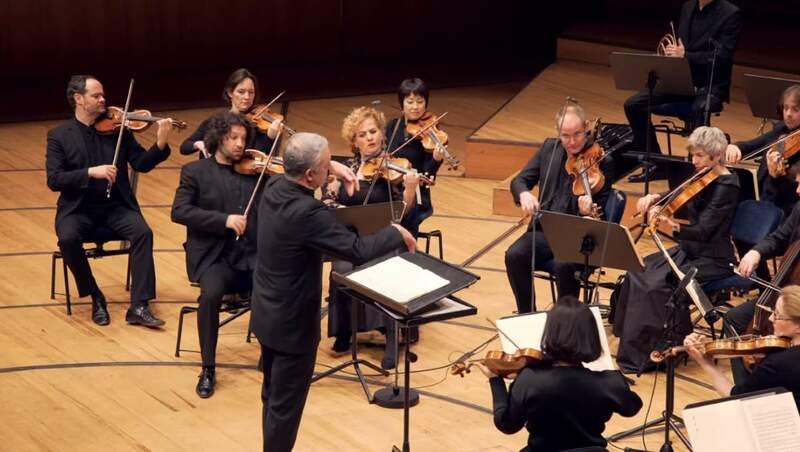 In 2012, the orchestra, led by Julia Schröder, won the award for the “Opera Recording of the Year”, arias by Georg Philipp Telemann sung by Nuria Rial.